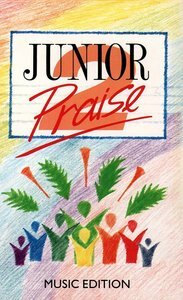 Junior Praise is a songbook suitable for assemblies, and contains a mixture of old and new songs. Junior Praise 2 is the supplement to the popular songbook for young people aged 8-13 years, this book contains 200 items to add to the 300 in the first book. It contains a separate melody line, an interlined verse and guitar chords throughout. About "Junior Praise Volume 2 Music Edition"